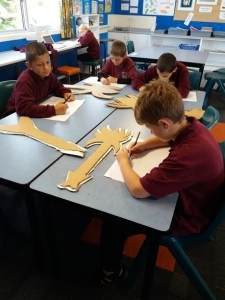 In Kauri room we have been making guitars for our end of term production. 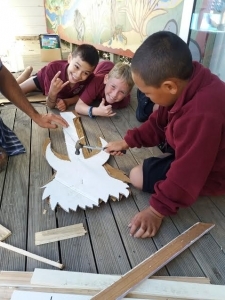 We are going to be punk rockers so watch this space to see more of our progress. It’s hard work doing all of this cutting! 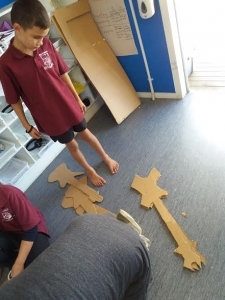 Once we had cut out our first guitars we used them as a template to make three more and then glued them together with PVA. We decided to nail a wooden strip to the neck of the guitars to give them more strength. 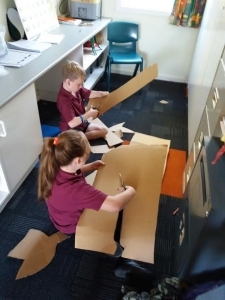 After each stage of making the guitars we used our question builder charts to ask ourselves questions about what we have done well and what we are doing next. 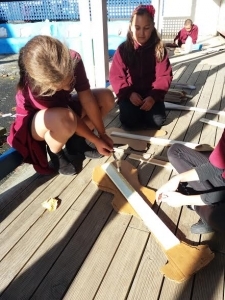 We are really enjoying making our guitars! 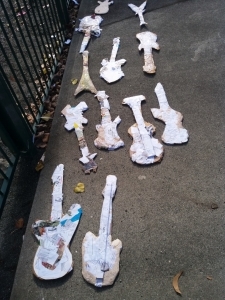 Here are some of our guitars after the first round of paper-mache.